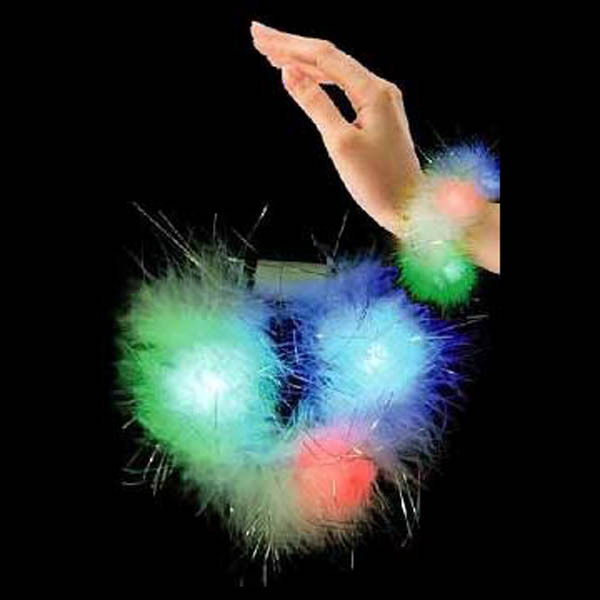 This is a Bulk Lot of 24 Spiked LED flashing bracelets. It's like a dream come true, sure looks good on you. 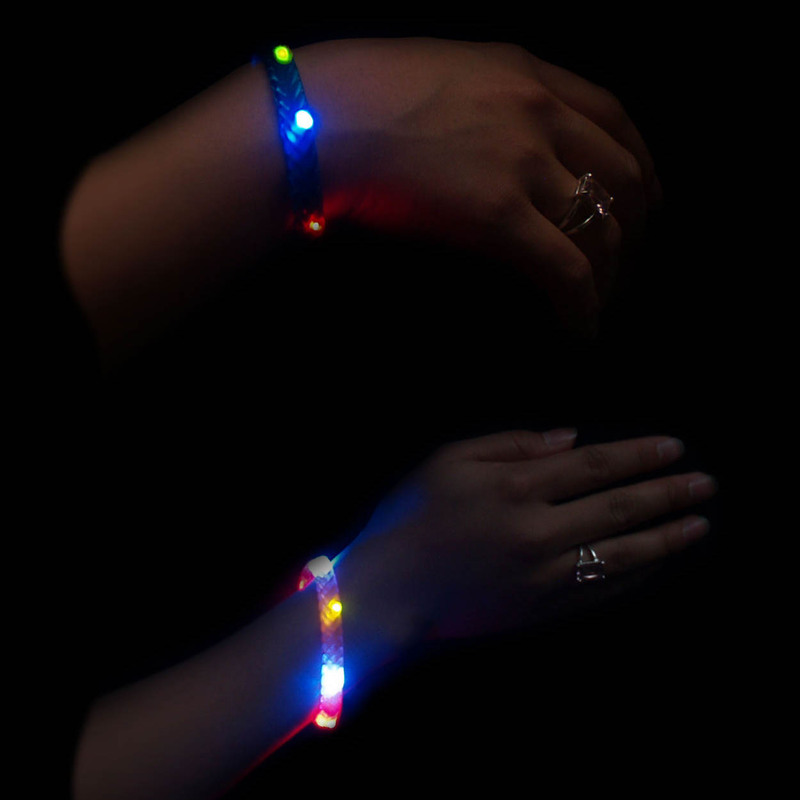 That is, this bright blinking multicolor LED translucent spiked bracelet, which will light up your party while you dance and celebrate like there's no tomorrow. 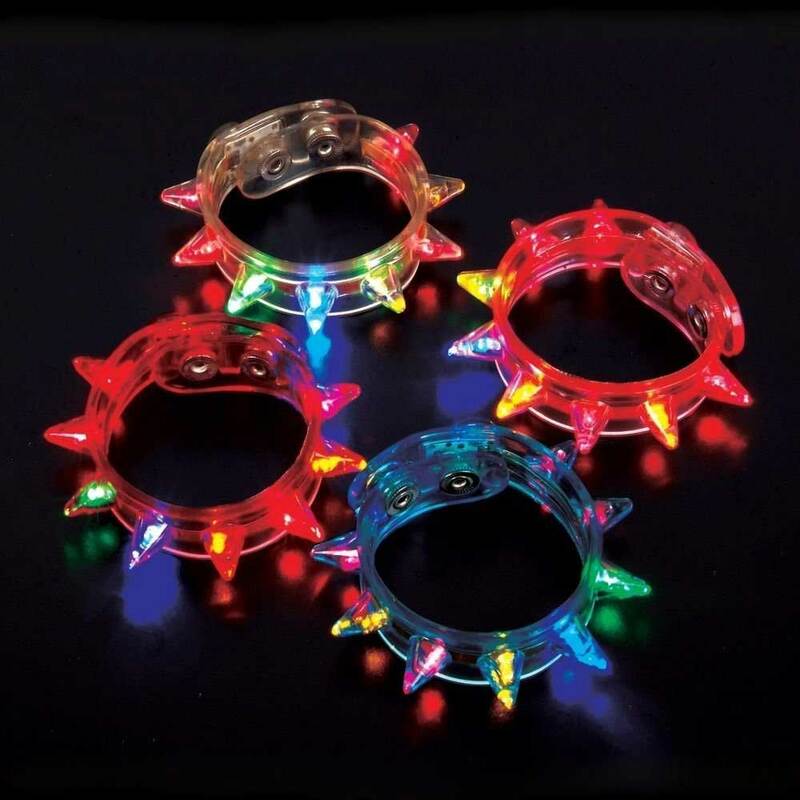 8 LED lights per spike around the band: four flashing cherry red, one brilliant fiery ice blue, one brilliant green, and two glowing yellow. You're the star. Comes in blue, green, black, clear, and pink. One for each wrist. How can you resist? 8 super bright color LEDs flash in rhythm. Available in five cool bracelet colors - collect them all! Easy to snap around your wrist! Comes with two button-cell batteries pre-installed! Important! This auction is for a specific color bracelet, (see item title.) (Please do not ask for a substitution.) There is one bracelet per package per auction. Please bid on how ever many you'd like and save on shipping.